Critias, one of Plato's late dialogues, contains the story of the mighty island kingdom Atlantis and its attempt to conquer Athens, which failed due to the ordered society of the Athenians. Critias is the second of a projected trilogy of dialogues, preceded by Timaeus and followed by Hermocrates. The latter was possibly never written. The Critias is a fragment which breaks off in the middle of a sentence. 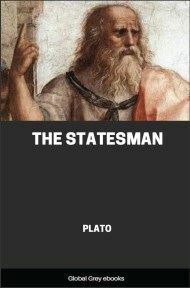 It was designed to be the second part of a trilogy, which, like the other great Platonic trilogy of the Sophist, Statesman, Philosopher, was never completed. Timaeus had brought down the origin of the world to the creation of man, and the dawn of history was now to succeed the philosophy of nature. The Critias is also connected with the Republic. Plato, as he has already told us (Tim. ), intended to represent the ideal state engaged in a patriotic conflict. This mythical conflict is prophetic or symbolical of the struggle of Athens and Persia, perhaps in some degree also of the wars of the Greeks and Carthaginians, in the same way that the Persian is prefigured by the Trojan war to the mind of Herodotus, or as the narrative of the first part of the Aeneid is intended by Virgil to foreshadow the wars of Carthage and Rome. The small number of the primitive Athenian citizens (20,000), 'which is about their present number' (Crit. ), is evidently designed to contrast with the myriads and barbaric array of the Atlantic hosts. The passing remark in the Timaeus that Athens was left alone in the struggle, in which she conquered and became the liberator of Greece, is also an allusion to the later history. Hence we may safely conclude that the entire narrative is due to the imagination of Plato, who has used the name of Solon and introduced the Egyptian priests to give verisimilitude to his story. To the Greek such a tale, like that of the earth-born men, would have seemed perfectly accordant with the character of his mythology, and not more marvellous than the wonders of the East narrated by Herodotus and others: he might have been deceived into believing it. But it appears strange that later ages should have been imposed upon by the fiction. As many attempts have been made to find the great island of Atlantis, as to discover the country of the lost tribes. Without regard to the description of Plato, and without a suspicion that the whole narrative is a fabrication, interpreters have looked for the spot in every part of the globe, America, Arabia Felix, Ceylon, Palestine, Sardinia, Sweden. In the beginning the gods agreed to divide the earth by lot in a friendly manner, and when they had made the allotment they settled their several countries, and were the shepherds or rather the pilots of mankind, whom they guided by persuasion, and not by force. Hephaestus and Athena, brother and sister deities, in mind and art united, obtained as their lot the land of Attica, a land suited to the growth of virtue and wisdom; and there they settled a brave race of children of the soil, and taught them how to order the state. Some of their names, such as Cecrops, Erechtheus, Erichthonius, and Erysichthon, were preserved and adopted in later times, but the memory of their deeds has passed away; for there have since been many deluges, and the remnant who survived in the mountains were ignorant of the art of writing, and during many generations were wholly devoted to acquiring the means of life...And the armed image of the goddess which was dedicated by the ancient Athenians is an evidence to other ages that men and women had in those days, as they ought always to have, common virtues and pursuits. There were various classes of citizens, including handicraftsmen and husbandmen and a superior class of warriors who dwelt apart, and were educated, and had all things in common, like our guardians. Attica in those days extended southwards to the Isthmus, and inland to the heights of Parnes and Cithaeron, and between them and the sea included the district of Oropus. The country was then, as what remains of it still is, the most fertile in the world, and abounded in rich plains and pastures. But in the course of ages much of the soil was washed away and disappeared in the deep sea. And the inhabitants of this fair land were endowed with intelligence and the love of beauty. The Acropolis of the ancient Athens extended to the Ilissus and Eridanus, and included the Pnyx, and the Lycabettus on the opposite side to the Pnyx, having a level surface and deep soil. The side of the hill was inhabited by craftsmen and husbandmen; and the warriors dwelt by themselves on the summit, around the temples of Hephaestus and Athene, in an enclosure which was like the garden of a single house. In winter they retired into houses on the north of the hill, in which they held their syssitia. These were modest dwellings, which they bequeathed unaltered to their children's children. In summer time the south side was inhabited by them, and then they left their gardens and dining-halls. In the midst of the Acropolis was a fountain, which gave an abundant supply of cool water in summer and warm in winter; of this there are still some traces. They were careful to preserve the number of fighting men and women at 20,000, which is equal to that of the present military force. And so they passed their lives as guardians of the citizens and leaders of the Hellenes. They were a just and famous race, celebrated for their beauty and virtue all over Europe and Asia.